Matt Chandler explains why it's not too late to start observing it. In the six weeks between Ash Wednesday and Easter Sunday, Christians around the world observe the season of Lent. However, in many modern Christian circles, practicing Lent—through fasting or giving up certain items or activities in day-to-day life—has fallen out of favor. We recently spoke with author and pastor Matt Chandler about Lent, it’s history, why Christians should take part in it and how you can make it a part of your life leading up to Easter—even if it’s new to you. For people who have a surface level understanding of Lent, can you describe what the season of Lent is and how traditionally a lot of Christians have used it as a time for a really spiritual exercise? Lent is the 40 days leading up to Easter weekend. So those 40 days have historically been used by the Church to fast from one thing, or something different per week, depending on how you approach it. It’s a way of trying to orient or reorient the season around the heart around the coming of Christ’s death and resurrection. The goal is a reorienting of our hearts around the reality that Christ has died for our sins and He resurrected from the grave as evidence that all of our sin has been fully freely and forever paid for in His life, death and resurrection. What are some of the misconceptions that Christians have about Lent? I think they know so little about what it is, except maybe from a Catholic friend back in high school or some understanding in college of Fat Tuesday or seeing a friend with the ashes on his or her head on Ash Wednesday. By and large evangelicals don’t understand or appreciate the Church calendar, or really an understanding that throughout Scripture and throughout human history God has used feast, fast and festivals to shape His people. For evangelicals the idea is, “Hey, read your Bible, pray a little bit and you’re going to be fully formed.” But I just think that’s a real anemic view of things. Although I certainly wouldn’t want to take anything away from the sufficiency of the Scriptures, I just think that the scriptures teach about the certain seasons and rhythms we should give ourselves over to. I grew up in a tradition where some of these outward spiritual exercises were rejected because we didn’t want to come across as too pious or overly spiritual or legalistic. But when it comes to Lent, why is this overcorrection an incorrect posture to take? Because I think that any spiritual discipline can be taken and emptied of its purpose of connecting us in a very real sense physically, spiritually, emotionally and mentally to our God. If you’re doing Lent to where it really is a public display of your own piety, then I think you’re doing Lent incorrectly. I think about Jesus’ encouragement to when you fast—you put oil on, you wash your face because we’re not trying to contort or distort our bodies we’re just trying to orient our souls. Any of the spiritual disciplines can be made to be empty and rote, and you can say, “Oh man, they’re just trying to look a certain way.” But at that point, you’re beginning to judge the person’s heart, and, man, I’m just going to be real careful of not giving my brothers and sisters the benefit of the doubt. 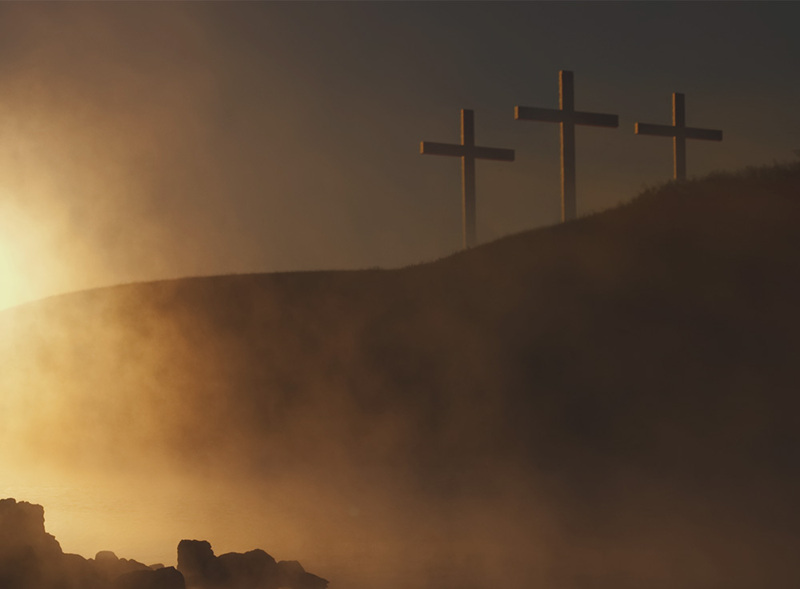 What is it specifically about Lent that represents something about the nature of the resurrection and the crucifixion and the nature of Christ? Part of what you’re doing in Lent is giving up something that’s desirous in your heart so that you might in a very real way begin to get your mind around Christ giving up His life for us. It’s such a small thing but I think it can be such a profound thing, like fasting itself. As we feel hungry in our bellies, our hearts are reminded that we have a greater hunger and we take those moments of breakfast, lunch, dinner or whatever and use them to cry out—much life David does in the Psalms—for the Lord to be our portion, for a desire to seek Him and know Him like a deer pants for water, to have a soul that longs for Him and hungers for Him. Lent is built on the idea of fasting from something, and you mention that it helps reorient us because we’re constantly reminded of needs, not just physically but also spiritually. Do you think fasting is something Christians could benefit from not just in Lent, but incorporating more into a regular part of their spiritual lives? I certainly believe so and we’ve taught that way for years. I think that weaving into your rule or rhythm of life regular seasons of fasting to remind you in a deeper way of wanting a greater longing and zeal for the Lord is just a good thing to weave into life. We operate with an understanding—kind of a rule of life—when you think about your pursuit of Christ and you think about that annually, and you think about it monthly, and you think about it daily, what does it look like for you to be serious about making Christ your treasure and longing to understand and grow in a knowledge of Him? If I think of my own life and rhythms here at the Village Church. We do Advent here. We lay before our people the opportunity to do Lent. We do a Good Friday service. We have a block in January where we are prayerful around the social issues around our day that we think are significant. We give ourselves over to worship and prayer in the month of January. And these are rhythms that we try to establish at the church, so these would be annual rhythms. And then there are monthly rhythms and weekly rhythms and daily rhythms and all the way down to hourly rhythms that we want to weave into our lives to keep before us a desire to know and love Jesus all the more.